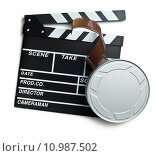 №7091383 19 Cinema, movie or video concept. Vintage projector with projecting blank and reels of film. №27689573 1 Retro movie style. №26372464 1 Director Andrey Zvyagintsev during the red carpet of the film Nelyubov. 70 Cannes Film Festival. Cannes, France 18/05/2017.